There were quite a few people who misunderstood that the furniture of Hida is a tree of Hida when I was at the exhibition a long time ago. It is an area surrounded by mountains in the area of ​​furniture production, so it may be a natural image. Indeed, before World War II, there were times when we used local beech and oak to process and export, but now those day is history. As cheap foreign timbers enter the domestic market due to tariffs, the Hida trees are not seen and are currently in the works. I do not want to explain each time, actually I started using local tree, but as I found out I can not sell it, I know the present condition that I do not cut out, and now I am making furniture with almost local tree . "Nara" in japanese are mostly ovevsea timbers in furniture maker's catalog. Russian and Chinese oak are no longer available, White oak and red oak, recently up to European oak. Incidentally, some of the items written as dark brown with Hida's furniture used a wood with a slightly pinkish color called red oak. Since it colors on dark brown, the color of the timber is irrelevant.Because everyone is uniformly written as "Nara", I really am using "Nara" , I'm daringly talking about "HIDA nara" ,"HIDA oak". 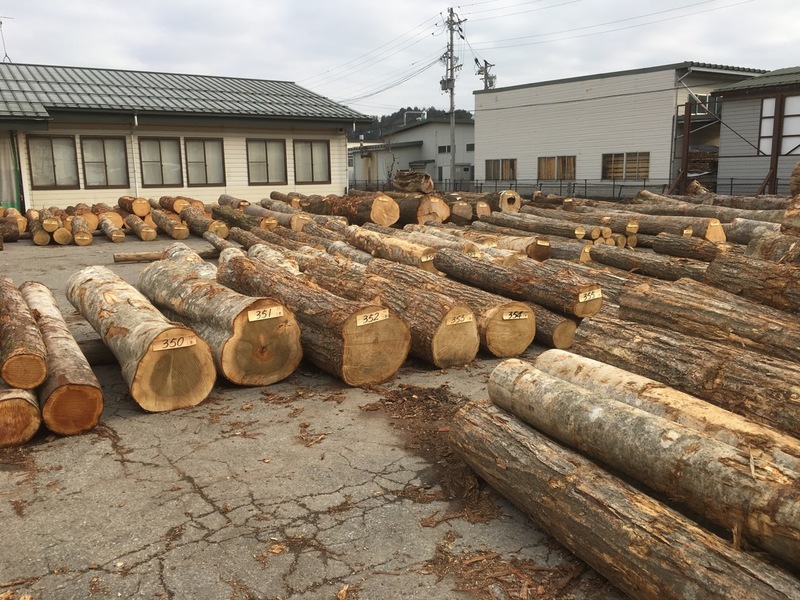 However, as big makers become concerned about it and start using Nara of Hida, they will soon disappear, so I can not say that it is not a misrepresentation and that you should display the country of origin of the timber. I am making my own situation really dificult. If I mention it, a lot of craftmen and makers will be in trouble. Many makers do not mind which material they are. And many consumers are the same. This is a global world, so this is fine.But surely in the near future, I think that it probably will be so, makers should be conscious.